Looking for a versatile IT course in the UK? Study with us in the exciting city of Birmingham. 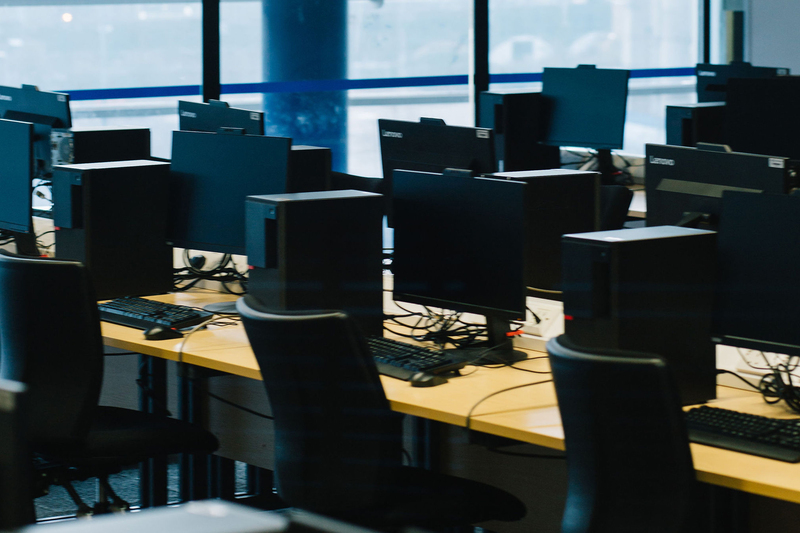 Our multidisciplinary BSc (Hons) / MSci Computing and Information Technology degree will equip you with the technical and managerial skills you'll need to embark on a successful IT career. 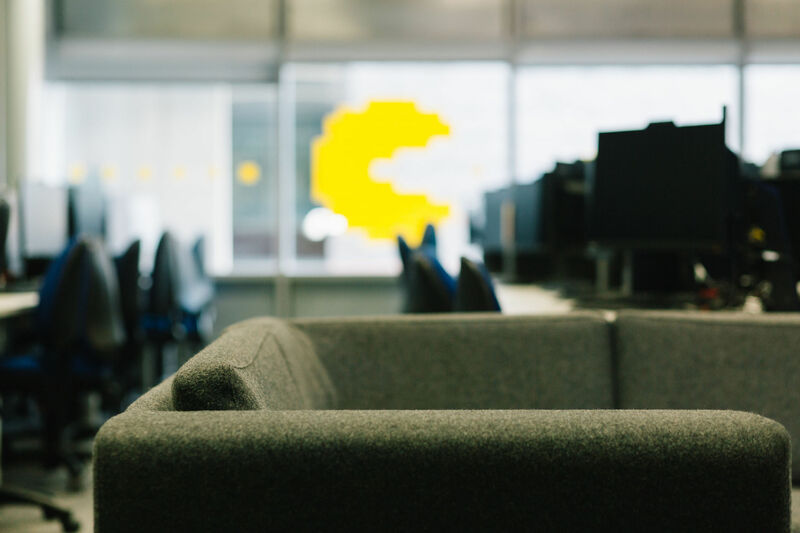 You'll use first-class, industry-standard equipment and labs, and have the chance to put your academic learning into practice on a placement year – all of which will prepare you for an information technology career with a range of companies. We’re also an academy for Microsoft and Cisco systems with strong industry links. This course is for you if you want to combine a highly rigorous academic qualification with real-life practical work experiences, enabling you to put your learning into innovative practice. 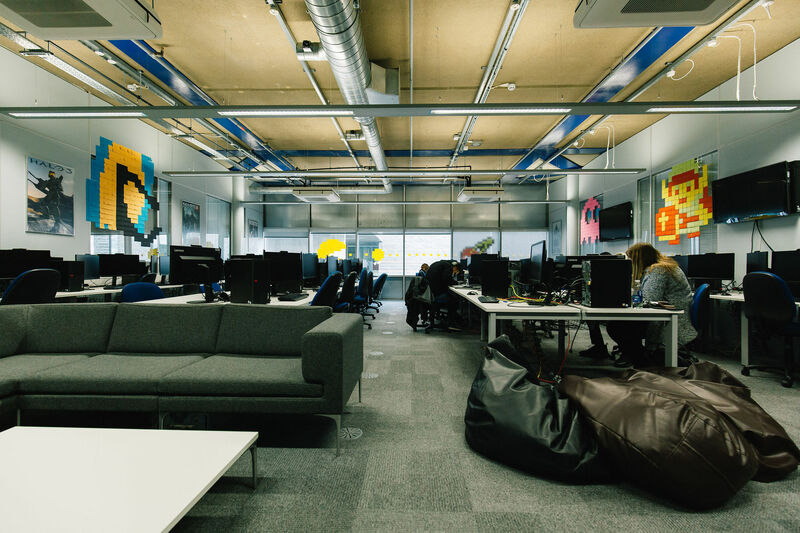 You'll be based at our City Centre Campus, where you'll use dedicated, industry-standard facilities to research and work on enterprise software and virtual environments to develop business solutions and real-time systems. You will develop the strategic mindset to address global challenges; the kind that that businesses and communities face on a day-to-day basis to maintain their digital infrastructure. 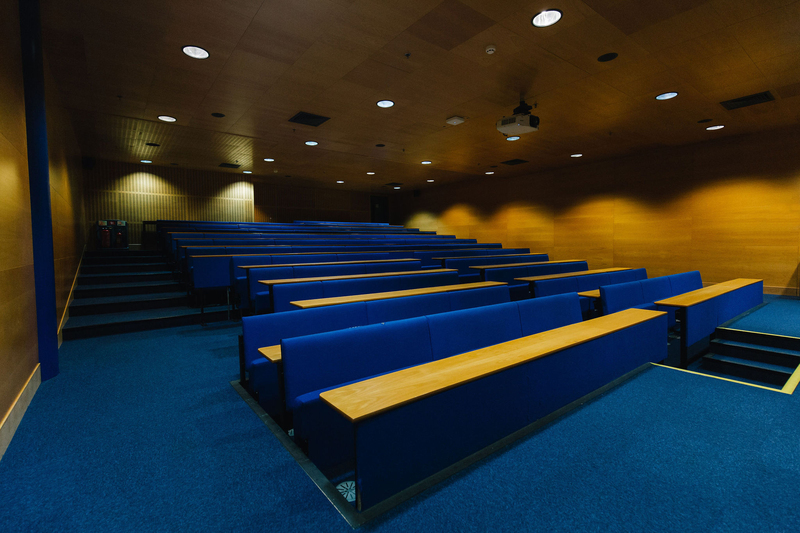 You'll have access to virtual learning environments, as well as networking, electronic, enterprise systems and business intelligence laboratories. We are preparing you for the workplace. You'll learn computing and information technology skills that are needed to design, develop, operate and maintain effective systems. Your knowledge of the application of computing to provide IT solutions will evolve on a daily basis, and we will ensure you are able to innovate in order to deliver business value and sustainable solutions. Studying computing with us puts you at the heart of an exciting, innovative community. Part of your first-year assessment will involve taking part in our annual Innovation Fest, where students get together to solve society’s problems with creative technology. Previous projects have included medical assistance drones, accessible gaming controllers, and smart housing solutions. The event brings together students, academics and industry guests, so it’s a great way to have fun, build experience and network, and win prizes! It's not just about academic and technical knowledge – we'll also help to develop your personal skills so that you can work effectively as a team member and problem solve at the highest level. This will not only enhance your employability levels, it will make you stand out from the crowd. Throughout your computing degree you'll be supported by expert teaching staff, many of whom have worked in the field, are active in research and are continually innovating with industry. Our course has been designed in line with the requirements of the Institution of Engineering and Technology (IET) to ensure our course remains fresh, relevant and replete with key industry information. This course enables you to work towards Microsoft, Cisco, Linux and Oracle certifications and professional body qualifications too. We collaborate with prestigious organisations such as IBM, APC by Schneider Electric, Atos, Co-Op, Philips and the Chartered Institute for IT (the British Computer Society). You will have the opportunity to participate in renowned international programmes and competitions. You will have the opportunity and support to create a start-up business using ideas spawned during your course – several recent undergraduates on this course have done just that. You'll have the opportunity to negotiate your learning outcomes in a working placement, either through a start-up project or business project. * Please note this course has changed name for 2017/18. The KIS data below relates to the previous course title. At the point of application, you must have achieved or be working towards GCSE at Grade 4 (C) or above in English Language and Mathematics. Equivalent qualifications will be considered. GCE A Level/ AS Level BBC at A Level or 112 UCAS tariff points from A/AS Level with a minimum of 2 A Levels, at least one from a Science, Technology, Mathematics or Computing subject. Pass with 60 credits, 45 of which should be at Level 3. including 12 Technical credits merit or distinction. Must be from Technology, Science, Mathematics or Computing related subjects. Pass the Irish Leaving Certificate with a minimum of 112 tariff points, achieved in four Higher level subjects. Maths must be at Higher Level. Must include English Language taken at either Ordinary level (minimum grade O1-O4 (or A-C/A1-C3)) or Higher level (minimum grade H5/D1). Must include one from Technology, Science, Mathematics or Computing. Achieve a minimum of 112 tariff points achieved in either three Advanced Highers or from a combination of two Advanced Highers plus two Highers.Where three Advanced Highers have been taken achieve a minimum of grades CCD. Must be offered along with either A-levels, BTEC Subsidiary Diplomas/ OCR Cambridge Technical Introductory Diplomas or a BTEC 12-unit National Diploma/ OCR Cambridge Technical Diploma combination with a total of 112 UCAS tariff points. Must be offered in conjunction with the A level in either Technology, Science, Mathematics or Computing or equivalent. Within the Computer Systems Module, you will gain knowledge and experience of computers and computer hardware. The module gives you the opportunity to learn mathematical concepts and methods and critically reflect on how they relate to computing and communication systems. You will develop core mathematical and statistical skills which are fundamental in computing and technical work in general. You will be expected to solve mathematical and statistical problems on paper and on a computer. This introductory computer programming module provides the underpinning knowledge and practice for computing students to design, build and test software components. The module will make use of practical sessions primarily to allow you to apply programming principles and constructs in order to creatively solve problems by means of developing small programs. Module content and assessment enables learners to acquire programming skills in a modern imperative language. The module provides the opportunity to learn and critically reflect the skills required in building and designing basic networks and their requirements within a network infrastructure. This module builds on the underpinning knowledge and theory of networking systems. Global view on information system communication. In this module, you learn how modern operating systems are the glue that bind computer hardware and networks together and how they manage the user experience for individual computers and wider networks. We will focus on the function and purpose of operating systems, with a focus on hands-on practical skills. We will build on learning from your networking, programming and computer systems modules, enhancing and extending skills in all these areas. You will make heavy use of Open Source Software, demonstrating what can be achieved with this huge publicly shareable resource on a very limited budget. This first-year project allows you to develop and cultivate a creative mind-set through collaborative innovative practice, allowing you to bring together knowledge and imagination to construct a viable product. It is an opportunity to express your ideas, skills and talent to the wider community of innovative practice. The project provides you with an opportunity to be part of a thriving community of innovators that practices connected learning. This is facilitated by putting you into inter-disciplinary project teams supported by innovation mentors, advisors and academics; culminating in you exhibiting your work to an international panel of experts. The Internet of Things (IoT) is a system of connected computing devices, electromechanical, digital machines, objects with the ability to transfer data over a network without requiring human-to-human or human-to-computer interaction. It is estimated that by 2020 there will approx. 50 billion IoT devices. This module will provide knowledge and skills for the research, synthesis and evaluation of solutions incorporating internet communication systems and devices that can be used to make informed and wise decisions. Within the module Server Systems, you will learn that servers are the engines that deliver the data of the worldwide Internet and cloud revolution. In this module you will learn how to design, configure and troubleshoot servers to provide both the data and network services required in modern networks. You will spend a lot of time actually configuring and troubleshooting servers in this module to give you the hands-on skills required by industry. This will be backed up by theory delivered via videos and reading and short lectures. In this module will you will focus on combining theoretical concepts around user experience design with practical “hands-on” approaches widely used in industry and academia to create effective interactive experiences. Current technology developments involve humans using information centred applications, both physically and cognitively. With the advent of ubiquitous computing and connected products, digitalisation has enabled information architectures that are not solely focused in software based applications, but also in tangible computing devices. In this context, you will learn about the user-centred design process that places a core emphasis on designing products and applications for “people”. This module provides a thorough grounding in all aspects of: conceptual data modelling (entity relationship models), relational theory and relational algebra, CASE tools for designing a database and its interface, database design and normalization. It also looks at SQLPlus to for querying data in a relational database system. The module will make use of practical sessions to practice database design theory and apply the techniques to producing a quality database design. In this module you will have the opportunity to learn and critically reflect on the skills required for Network Technologies. This module builds your knowledge and underpinning theory for the networking modules and you will review the requirements from a small to medium scale network deployment engineering context. This module forms part of the Research and Enterprise strand that runs through each programme curriculum from level 4 to 7. It builds on the core concepts, which were introduced to you at level 4 in the practice based computing related modules and the underpinning role innovation plays in this. As you have chosen to major in developing your technical capability, knowledge and skills required for you chosen career path, this module is designed to draw upon your technical learning framework through Reflection, Evaluation, Entrepreneurialism and Management (REEM). REEM forms the principles of this module allowing you to explore and to further build on your strengths and achievements to pursue excellence in a professional context. A Data Centre (DC) is the Infrastructure supporting the Application Ecosystem (AE). 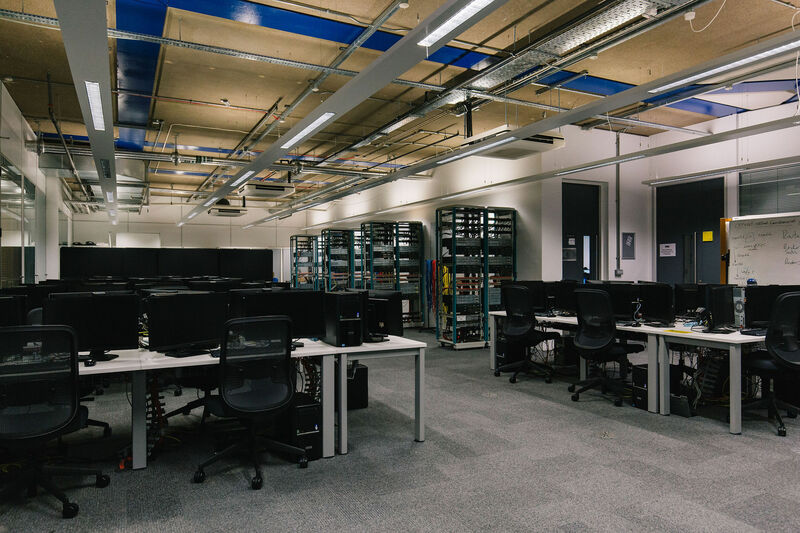 It is a facility that centralises an organisation's IT operations and equipment, as well as where it stores, manages, and disseminates its data. 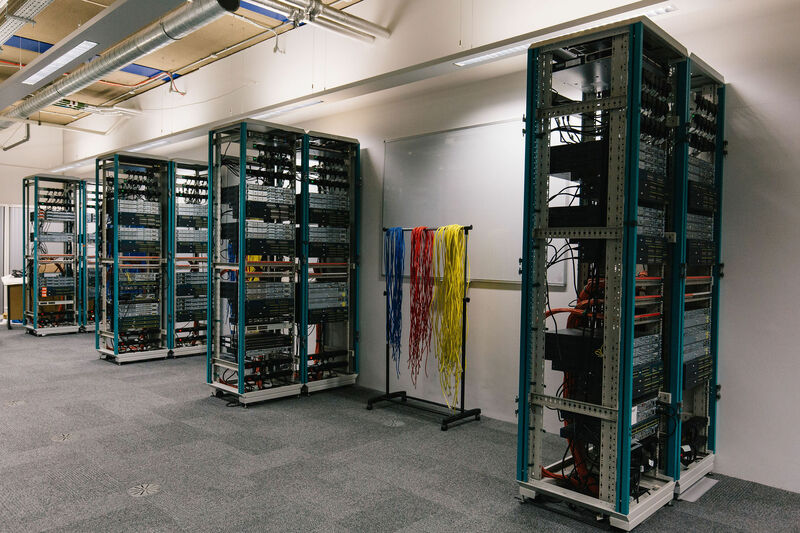 Data centres house a network's most critical systems and are vital to the continuity of daily operations. This module enables you to gain an understanding of the processes, scope and role when providing guidance or advice in a professional consulting capacity. It will also assist you if you join a larger organisation with the aspiration to become a leader and manager. The module provides awareness on the wider consulting profession and practice, the consulting role in computing and the management of client relationships. The focus will be to analyse and evaluate the frameworks, processes and techniques applied by computing consultants, managers and leaders. This module prepares you for industry by guest lectures, industry talks, industrial visits and real life case studies. The case studies and assessments have been designed in collaboration with practising IT Consultants and IT Architects. This module aims to provide you with a conceptual understanding of Business Systems and the practical experience for the technologies used in developing an integrated business solution. It focuses on information systems that underpin the business context of organisations and the demand for business intelligence. The module draws on transactional value of real-time data through mobile/IOT devices. Intelligence has become a key aspect of most organisations competitiveness, be it customer or resource informed. Framework of cloud based infrastructures. All underpinned by theory and practical applications to maximise the chances of adoption success. An Enterprise Architecture is the complete visual of a business, from strategic planning to process and data, information systems and database and enabling infrastructure of the business such as computers, operating systems and networks. It is essential to capture the various technology-enabled interfaces of the organisation, particularly in today’s fast transforming high-tech world, the breadth and complexity of coordinating an organisation’s digital architecture. This module prepares you for the research project that you will undertake towards the end of your master’s course. It equips you with knowledge and transferable skills that will also help you in your subsequent career, for example, when you are asked to write a report or to carry out an IT project. You will become familiar with the research literature in your discipline, research methodology and research ethics, as well as project management tools, methods and techniques. This module will provide you with the opportunity to explore the latest developments in IT and understand the processes of IT innovation. The theoretical backdrop to adopting innovations will be discussed and practical applications discussed to maximise the chances of adoption success. Approaches to technology forecasting and the factors affecting whether organisations should adopt a leader or follower stance will be discussed. A range of modelling tools will be introduced to enable you to assess the potential impact of new technologies on organisations and to prepare adoption strategies. You'll be assessed in a number of different ways during your course. These will include continuous assessment, in-class tests, examinations, laboratory exercises, group and project work. This will enable us to appraise your all-round ability and it also gives you the best opportunity to excel. Your final assessment is based on 24 per cent written exam, 68 per cent course work and 8 per cent practical exam. A typical week on this course will include 12 hours of contact time over three or four days, plus self study time. The ‘XploR’ mobility cane – developed by ICT students Steve Adigbo, Waheed Rafiq and Richard Howlett – uses smartphone technology to recognise familiar faces from up to 10 metres away. The cane also features GPS functionality to aid navigation. The device will guide users towards friends and family members using an ear piece and audio guidance, with the information being relayed through Bluetooth technology. Graduate Sadia worked part-time for the University as a Laboratory Demonstrator during her final year. Currently she is working full-time as a Graduate Application Support Analyst and has big plans for the future. All new students have an industrial visit as part of their induction programme; last year students visited Bletchley Park, the home of Alan Turing, the famous wartime code breaker. Where opportunities exist, students are encouraged to participate in projects that involve visits abroad as part of our Erasmus scheme. In the past, students have participated in European projects in Finland and the Netherlands. We offer a range of Master's courses (MSc) or research (MPhil and PhD) postgraduate programmes that are suitable for graduates of this course. There are no compulsory additional costs or charges associated with studying on this course. While you may choose to purchase personal copies of textbooks, all our key text books are available from our library or online (subject to normal library loan and online access arrangements). If your course includes a residential study session, the accommodation costs for this are already included in your course fee. Our course is designed to equip you with in-depth, first-hand practical expertise as well as providing a rigorous academic understanding of your subject. It is this combination that will help you to stand out when you look to enter the workplace and why our graduates are very highly sought-after. 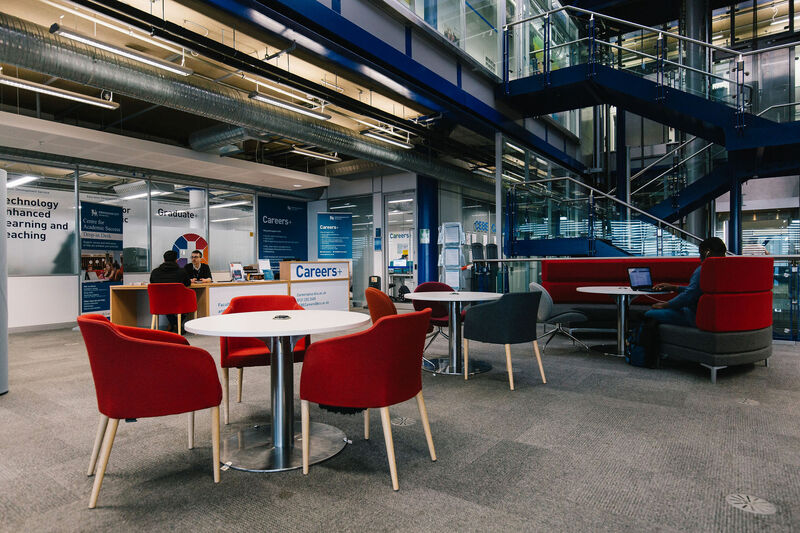 We maintain very close links with business and industry to ensure that your studies are always relevant, up-to-date and meet the exact needs of the current marketplace. You'll develop key academic and technical skills that will demonstrate your ability to understand concepts, principles and theories of complex network technologies, and that will show your understanding of how ICT infrastructure systems for business are designed and implemented. Recent graduates have gone on to work with first-class organisations such as Hewlett Packard, Bell Microsystems, BT, Cisco, Deloitte, Ericsson, Philips, IBM, Intel, Siemens, Nokia and Capgemini. You will have the opportunity for work-based learning, either in the form of a professional or innovation project. This is a negotiated competitive placement pathway in the second year where you will be able complete 60 credit modules whilst employed or starting-up a business. We aim to have you employer-ready by the time you graduate, and as part of your course you have the option of undertaking an industrial placement after the second year of study. If you decide to do this, it will extend the duration of your BSc (Hons)/MSci course to four/five years. Thanks to our excellent partnerships and working relationships with some of the UK's leading companies, you have the chance of undertaking a high quality industrial placement with leading organisations such as the Bank of England, Cisco Systems, IBM, 3M, Airbus or CapGemini. Placements will also provide you with an opportunity to develop your practical expertise, earn money and try out a potential career path. Our computing students have the opportunity to attend training for the PRINCE2 Foundation Level exam. This three-day course gives you the opportunity to achieve an industry-recognised qualification and add another desirable qualification to your CV. Our School is particularly popular with students from China. Students are attracted by our strong industry links and our relationships with Chinese universities where we regularly visit and provide induction and preparation activities. We are constantly investing in our estate and are currently in the process of spending £260 million on new learning facilities. It’s no surprise that the Complete University Guide placed us in the UK top 10 for spending on facilities in both 2012 and 2013. 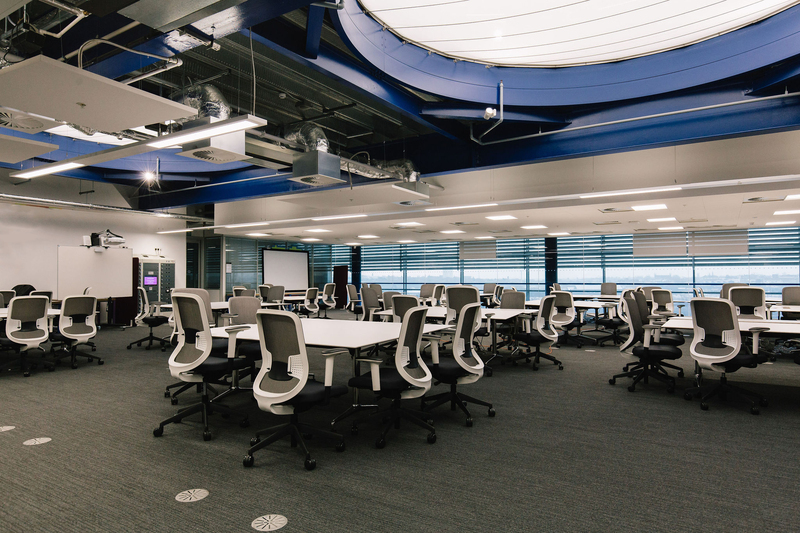 This course is located in the prestigious £114m Millennium Point building – part of our City Centre Campus – with technology and facilities that reflect advanced professional practice. 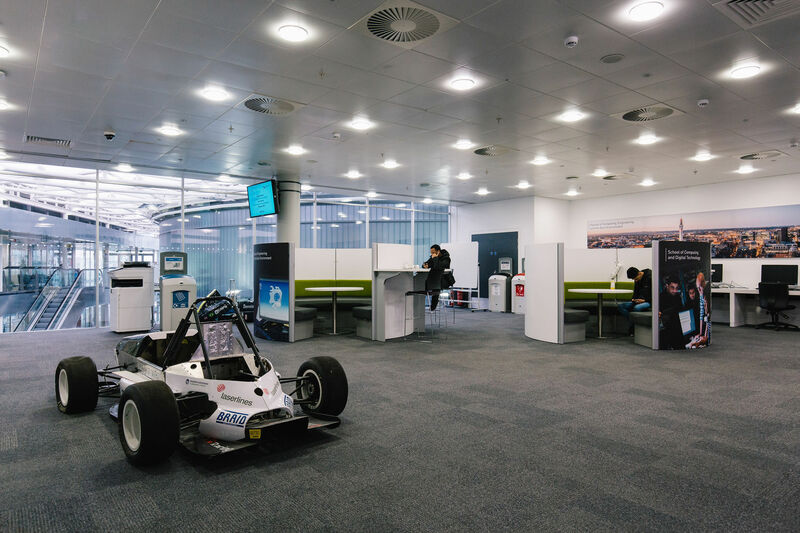 As a student you will get to use dedicated facilities for work such as systems analysis, artificial intelligence, e-commerce and business intelligence, and to support the application areas of mechatronics, games technology and computer forensics (with its own fully equipped laboratory). 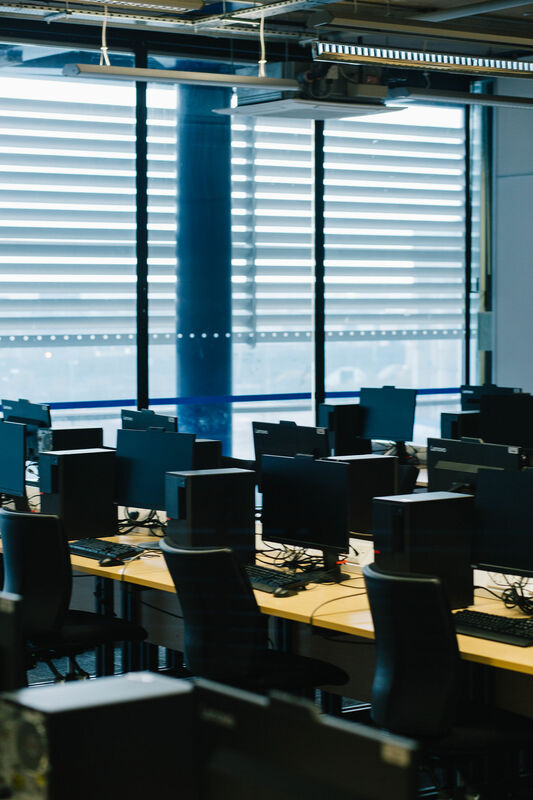 The School is established as one of the leading academies for Apple, Microsoft and Cisco Systems, and is a member of Microsoft's Developer Network Academic Alliance.